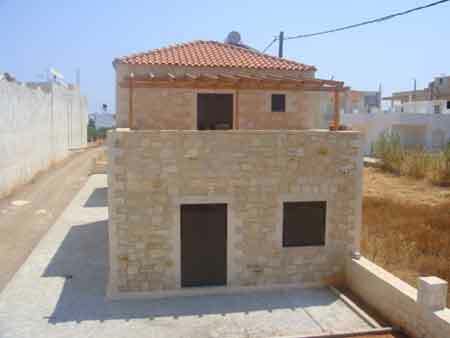 We can build your dream house here on Crete! Crete Hersonissos with a panoramic sea view. It will have a openplan kitchen livingroom and a toilet down. And one bedroom and a bathroom upstairs. 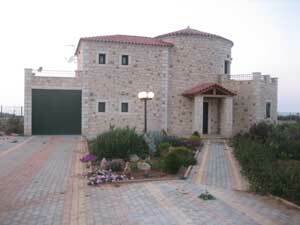 With solar, double glazed aluminun doors and windows. The garden is 600m2 en the sea views are astonishing. The new supermarket lidle will be on 100 distance from here. traditional village of Old Hersonissos. by an arche with a nice open fire place. 2 Bedrooms , a nice big terrace on the first floor. 1 Bathroom and a beautiful garden with trees and flowers. There's also a garage to park the car. fridge, oven with cooker, dishwasher. You can also built more meters. A complex of 4 luxurious, traditional, stone-built 3-bedroom villas, located in Anissara less than 5 minutes drive from the village of Chersonisos with its multitude of bars, restaurants, shops and walks. 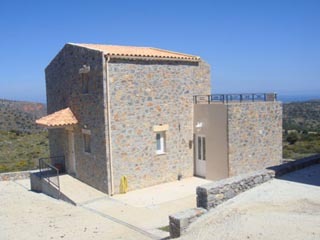 Top location at a central point of the northern coast of the island, ideal for excursions to discover beautiful Crete. Each with approx. 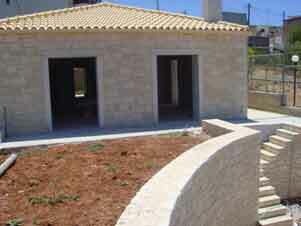 1000 sqms fully landscaped private gardens and pool with magnificent view to the Cretan landscape and the sea. Each villa is elegantly designed, offering a smart solution for high quality , combining privacy and comfort with a short distance to the sea (800 meters). and watching the sunset on long summer evenings. First floor: Two bedrooms with king size beds, en suite bathrooms with whirlpool bathtubs, large balcony. Will be sold with all the luxery furniture. Kalo Horio with a beautiful sea view. This area is for people how want to taste the Cretan way of live and relax. The house is build on trhee levels. living room with open fire place 1 toilet plus store place. The stairs are from marble and the bedrooms have wooden floors. The first floor has 2 bedrooms and 1 bath room. 2 bedrooms and 1 bath room plus store place. and windows with roller blades . In the garden you could make a nice pool to cool down. The distance to the Crete golf club is 3,5 k.m. 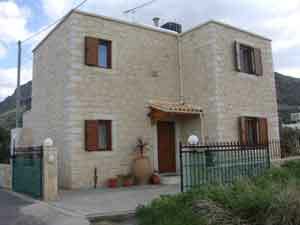 2 Nice stone built houses for sale in Crete Analipsi. Build in the traditional style, with all the modern comfort. solar, double glazed alluminium doors and windows. There's a privat parking for each house. and the distance to the Crete golf club is 5 k.m. 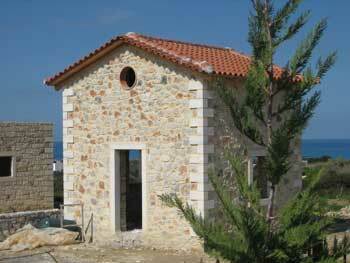 Nice new stone built house for sale in Old Hersonissos Crete. This house is build on one level. nice kitchen and livingroom with fire place. The doors and windows are from aluminum with shutters in woodcollor. There's also solar and central heating. Old Hersonissos with nice Cretan tavernas and other shops. On the square of the village is every Monday evening live greek musik. and windows and a garage. the Crete golf club is 3,5 k.m. 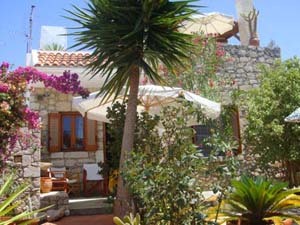 This is a Beautiful stone built house in Old Hersonissos Crete. Central heating, dubble glazed aluminium doors and windows. and a license for two swimming pools each 25 m2. where you can grow your own vegetables. The distance to the sea is 1,5 k.m and Heraklion airport 20 minutes by car. 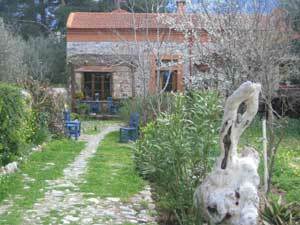 old Cretan traditional style, with all the modern comfort. build next to the other house. With again the panoramic sea view. in the center of the traditional village Avdou. 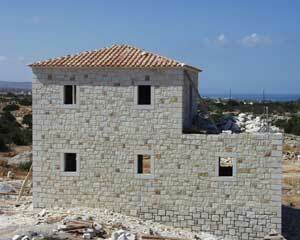 is stone built and has kept all its traditional features. There's an open fireplace in the big livingroom,and a very nice kitchen. central heating, wooden doors and windows. There're more then 10 differend fruit trees in the garden. An old traditional stone oven is also in the garden and a garage. There's a water well for watering the garden. 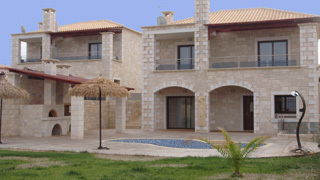 All our properties are near the sea,Crete golf club, airport, hospitals,schools and shoppingcenter.